Later today at the Tobago Jazz Experience 2018, Fantasia is scheduled to be a headline act. I do not know in what keys Fantasia sings her rhythm and blues, but her appearance in Tobago today is a case of Fantasia in G, because the engagement of such artistes is part of grandiose and inflated but impractical decisions made from time to time about culture and tourism. 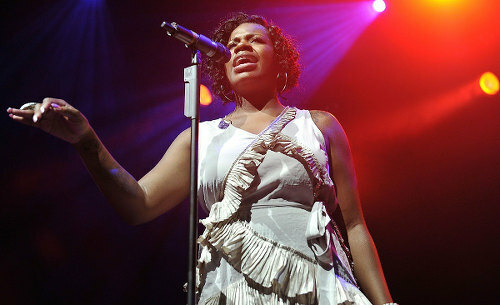 Photo: American R&B singer Fantasia Barrino. 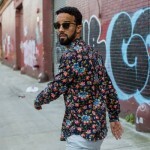 A few comments are offered today about the viability of the Tobago Jazz event, linked to the high-profile Music Districts project, with which Music TT is charged. My Trini comments about Tobago may be dismissed as made by “a citizen by boat.” Persons who are in severe denial about the troubled state of the Tobago tourism economy foolishly use this phrase to dismiss comments about Tobago. A word of caution in this regard: we have been told that the Prime Minister has been trying to improve the image of Trinidad and Tobago abroad in the course of his recent visit to London. Foreign investors, however, will not be encouraged to make or maintain investments in Tobago in the face of insults. Tobago Jazz tries to be an annual event but there is uncertainty each year as to whether funds will be found to make it happen, similar to We Beat in St James. 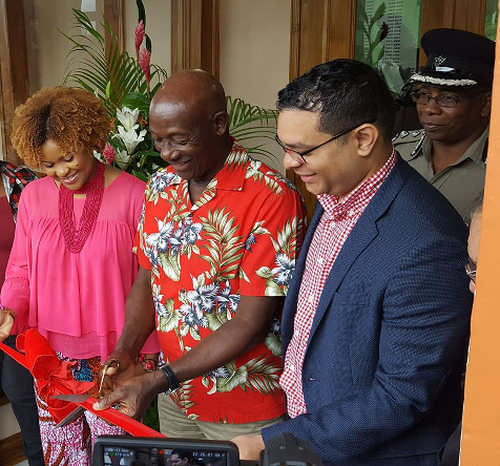 The announcement of Tobago Jazz 2018 was made in mid-March 2018, a mere six weeks before the scheduled date. Work arrangements and personal commitments do not permit many persons abroad to “ups” and run down to the Caribbean for a week or weekend. The dates of well-established festivals are generally known well in advance. Photo: A reveller enjoys herself in Yuma during the 2018 Carnival. The operators of the proposed Music Districts need to consider practical realities like dates, times, seasons and advance notice, given that there was much talk of catering to international tourism at a Music District event in Woodbrook last Sunday. 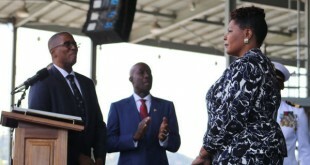 At the time of the confirmation of the Tobago Jazz event, it was also announced that the State would invest $7.3M. I accept that there is a case for investing in an event to attract visitors to re-stimulate the tourism economy of Tobago. However, it looking like a financial buss. It is laughable that the economic impact assessment will be done after the money done spen’ when they already have historical information on which to make projections—allowing, of course, for the dent made in revenue by VIP passes and complimentary tickets. For many years, investment principles for the creative arts and culture have been suggested in these columns. For example, in a column in December 2012—entitled We already have the fish—I dealt with the framework for such investment and the relationship of such investment to tourism and export markets. While on Ariapita Avenue last Sunday—taking in, as part of a large and enthusiastic crowd, the headline performance of BP Renegades—I returned to thinking about the use of Adam Smith Square, similar to the use of Jackson Square in New Orleans and Mariachi Square in Mexico City, about which I have written previously. The youthful energy-infused Black Box Theatre of 3Canal and the historic Little Carib Theatre are respectively a few yards and blocks away. These cash-strapped entities ought to be included in any development of Woodbrook as a Music District. Theatre and visual arts can and should readily be supported within the Music Districts. I take encouragement from the statement of the newly assigned Tourism Minister, Mr Randall Mitchell, that Trinidad and Tobago have to be developed as separate brands. The Trinidad tourism brand must focus on performing and visual arts and food. Tobago has the more traditional Caribbean sun, sea and sand component to be supported by its own arts and food offerings. A State enterprise is not required to look for talent. There are registers of artistes within the Ministry of Culture—or there were because I have obtained artistes for appearance at my home from them. These registers must be expanded. What is required is a re-direction of resources to provide opportunities for properly vetted and auditioned artistes in accordance with a published policy framework—as opposed to vaps selection, budgeting, promotion and subvention. I believe that following Martin Daly and Liburd we should also scrap the Pro League. We should also privatize Cal and the Sea Bridge. We need profits man! profits.! One fact about the Pro League is that millions don’t go to foreign entertainers or a handful of companies. Instead, the money is broken up amongst over 160 players and 50 technical staff members—apart from the spinoffs. Then you can point to locals like Kenwyne Jones, Carlos Edwards and Jason Scotland who used the Pro League as a stepping stone and ended up as England Premier League players. So, yes, one can make an argument to stop the Pro League too. But you would need to know what you’re talking about and be prepared to use some brain matter. Well then I apologize in advance for taking the conversation somewhere you wouldn’t have intended. But our pro league is nought but a CEPEP. What profit do we get? Esmee that response removed all doubt for me about what you’re bringing to the table eh. ? BTW what spin offs. 50 -100 people buying nuts from nuts vendors? I’m off to look for profit Esmee. ? Would you like to examine TTFA next? So while I sometimes question the *intent* behind asking why TJE doesn’t make a profit, I do support the full accountability and disclosure for (1) Revenue generating activities around publicly funded events and (2) Demonstrate empirically/numerically how the investment multiplied in the economy (so for TJE how TTD$7.3Million had a multiplier effect of I don’t know… TTD$36.5 Million? And don’t just say Tobago taxis, hotels etc…look at Pennywise sales, people who bought stuff online and brought in via skybox (it can get complicated ) My concern is every year I attend and they don’t even have a paper based survey asking…Are you here for Jazz? Yes? How much money are you spending this weekend? Not even that! But lemme ask this of all the people asking TJE to make a profit? What’s the ROI or multiplier effect of the money Government spends on Carnival? I don’t think it’s asking too much for TJE to break even at least via ticket sales and sponsorship related revenue generation – this year for example if the 16,000 people paid USD$20-40 at the Speyside event that would have made 50% of the budget back! The Sunday event is even easier given the ticket price is at least USD$80-100 (but marketing and promotion needs to improve over ths year as they promised for 2019…I think there are at least 10,000 people in T&T willing to pay TTD$1000-$1500 to see Bruno Mars >_< ) And Merchandising and Sponsor exhibits/brand activations is another opportunty not being fully exploited right now. Simone, I don’t expect TJE to make a profit. I don’t know that anyone is. What we want to know is that IS the plan. Do you see any sign of that? If so, then that is what we want to hear more about. I see little to compare TJE with Carnival. I am amazed, amazed! At the growing controversy surrounding Tobago Jazz Experience having attended this event since 2005 and many times since. The THA cordinated events are reasonably priced- for less than the cost of a Carnival All inclusive Fete ticket I get to see world class performers…including our locals acts! 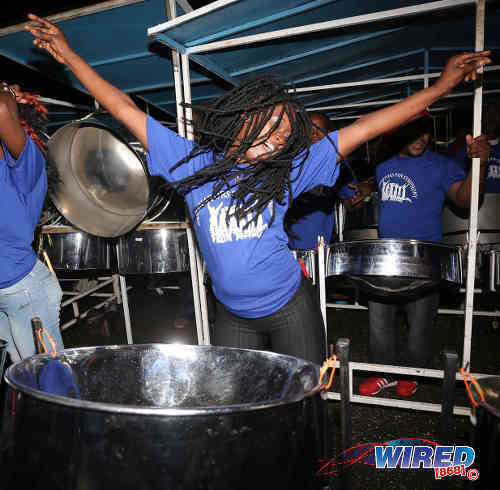 Duvonne Stewart and BP Renegades were simply outstanding last Sunday and I’m looking forward to more high calibre steelpan on TJE Sundays in the future. I feel like this blog post was “click bait-y” because I came to read the suggestions which as a TJE regular I am always interested to see what people come up with. But were there any real suggestions from the author? Or from an informed perspective? The shuttle service worked this year (for me at least) so they seemed to have resolved one of the major annoyances patrons complained about. They even hilariously had a music truck for a “jump out” HAHAHA (somehow I feel those folks I saw by that truck at 2 am “get ah 10 days to show up there” #CantFoolMe LOL) They also announced Merchandise on sale during the show but I didn’t want to lose my space so I didn’t go looking. (1) Use Social Media and Internet in a more powerful way, a young lady who was on her way to Gatwick via Virgin Airlines on Sunday said it best “oh man, this event has the most horrendous social media management strategy ever!” She tried to plan her vacay around TJE but up to recently there wasn’t much meaningful info available (and all the mauvais langue doesn’t help!) . (2) There should be more sponsors exhibiting throughout the venue, that is revenue generating and it can help with audience engagement and promotion e.g. a space to charge phone and get free wifi maybe by Huawei or Samsung OR a cooldown section by Dasani or Blue Waters or there’s always some new bottled water in T&T (another conversation) OR I saw Angostura there, would have been nice to get a TJE bottle of Rum (there’s no Tobago Rum why is that?!) The EMA was there, would have been nice if they were selling reusable mugs or cups like the fetes have to reduce the amount of plastic cups and straws used (seriously next year we want TJE cups…these also double as marketing/conversation starters about the event and Tobago tourism when used year round) Okay! enough free Ideas! They can pay me for the rest, the blog administrator can provide my email address. I just think Trinidad & Tobago needs to be careful we’re not entering Dante’s Inferno of partisan bickering and bachannal that other democracies (some signifcantly older than us but clearly no more “mature”) are falling into head first. Thanks to the welcome. Foreign acts and visitors to the Small Island State. We cannot help it especially if you are not Sting.Bago enjoy your guests and brand yourselves. Vendors sell and be courteous. We just like to throw money at certain people …..
And you are correct, nevertheless that comment was not my undertakings but an idle aquantance. I do however agree with her trend of thoughts. I fed up with Martin Daly and those blasted talkers we have in this country yuh know. What “buss” he talking bout? This was NEVER about “making a profit” at the gates. That’s why there’re also FREE events related to the Jazz Experience. Speyside was ALWAYS free. Then there’s The North-side Jazz and Jazz on the Waterfront, which were also free, but didn’t come off this yr.
From what I heard, the Speyside Jazz attracted the largest turn out EVER (15,974)! If Daly was an opposition politician in Tobago and took over the Assembly as the Chief Sec, yuh think he woulda stop the Jazz? NEVER! No politician will ever take such a chance to stop an event that thousands of people look forward to, from this country AND abroad. Just foolish political rhetoric. I’m tired of it. So this event cares nothing about return on investment? Since when? Sine Ramona made it an issue? This started since 2005. That never came up as an issue. No opposition politician then, both in Trinidad and in Tobago ever made it an issue. You have to be here to see what it is doing for Tobago in general. What “returns” we get from carnival? As tempting as it is to take that bait, I don’t think I really need to point out what Carnival does for the economy–which is quantifiable, mind you. If Tobago’s vision for the Jazz Experience is just a good time, why not just have local acts and let the various board members do it voluntarily? You can’t be serious in suggesting that kind of outlay is just about having fun. But I think you are serious. And I’m guessing you won’t be the only one. Mind you offend Wired and Mr. Daly’s other friends who share media space. This man’s claim to fame is that he is a lawyer if repute (got what that’s worth). Therefore, the public should only be made to stomach his utterances and writings related to that field. For everything else, he is no better than those of us who engage in barbershop talk. Roger Collin Pierre what are you expert in? Don’t leave us in suspense. Pereira when you see people give monologues that never touch on what columnist actually wrote… There is a name for contributors like that online. ? Imagine I open ah shop, and I say I in business but not to make a profit. People will want to know if I smoke all de weed or pipe all d coke in d world. It is better to say that jazz has an indirect impact on the economy (which it doesn’t) than to say such rubbish. No-one enters any business venture to fail. Since some of you are so “concerned” about Jazz not making a “profit”, why not advocate for PATT and CAL to charge $500 and $1000 return, respectively, for sea and air travel between the islands? Be the first people to WILLINGLY pay this kinda increase, because we ALL know that both the sea and air-bridge don’t make nothing close to a profit. When Jazz was introduced to this island, 13 yrs ago, it was never for the attempt at making “gate profits” like some all-inclusive fete.It was CLEARLY about Tobago as a Tourism Product. As a result of this event, many people are benefiting, from the hotels, guest-houses, apartment owners, the culinary people, maxi taxi owners. You can’t tell me it is not generating something positive towards the Tobago economy. This is just a foolish non-issue, which started by the hypocrites in the UNC. Ask them how many of them used to come here when Tony Maharaj was responsible for running the event in the days of Clico, on their behalf? Ask Ganga if he wasn’t a patron in the days of the Plymouth Jazz? While we coming with dotish political diatribe in this country about “profit”, St Lucia and Barbados are selling their country through the same event. I’m sure they don’t make a “gate profit” from theirs, but their tourist industry is getting a boost from the event. Has Daly written anything related to Cambridge Analytica and the utterances of Kamla, playing “innocent” about the revelation? And her cowardice in refusing to go before a JSC on the matter? You people in the media here are so “full of it”, with the daily intellectual BS, and trying to manipulate the thinking of the public, with selective topics. The show last night was well attended and the performances were GREAT. If anyone who thinks it’s not worth it to have this event, because it’s a “lost”, let them interfere with it, should they get the opportunity to govern this island and I bet they’d be signing a political death warrant. Garvin Walters the problem with those who say Jazz not making a profit haven’t done an impact assessment either. Yet they are comfortable making their pronouncements. Garvin if you don’t know that the Clico model was designed to turn a profit and how it intended to do so, whose fault is that? Roger, unearthing frauds is a hobby that suits you. Guessing you don’t have to look far for that one. Garvin I really do not understand your logic…..AT ALL. What you speak of in economics is known as the multiplier effect. This practice is more done with large projects e.g. construction projects etc….however these are longer than 3 days. You speak of Jazz under clico…..well no need to show you how that ended. Numbers don’t lie (unless manipulated). Miss.me with the pnm unc nonsense. The PNM never made an issue of this, of course. It was a case made against them. And it matters not if you can’t “understand” what I’m saying. Who are you? Are you that important? The issue is political dotishness. I’m sure this has never been an issue in the other islands. Do they make more than they spent at the gates? Is there an influx of people into their islands from their events? If you were offered a FREE ticket or a complimentary ticket to the Jazz, will you turn it down because there’s “no profit” from it? You people are some hypocrites. Why don’t you offer to pay much more to travel between the islands, since no profit is made from the travels? I can bet if the fares were to be increased, by 200%, people like you’d be the first to object. Roger Collin Pierre Lasana strikes me as a wannabe “elitist”. They believe that the more “intelligent” they are, determines how “smart” they are also. Too much intellectual BSers in this country with something to say, but carefully selecting what they want to make a topic. As I asked before WHICH ONE of them had anything to say on the Cambridge Analytica issue, which is a more SERIOUS problem, since it involves a former government and WHO are still lingering around, looking to get back in? Look at the kind of attention it’s getting outside of this country. Had it been the PNM involved in it as the UNC was, it woulda been a horse of a totally different colour. Most of them ignore the devious, dangerous, deceptive and racist nature of the UNC. Will they silently “rejoice” if they should return? Will they join the “People’s Revolution” against them when they become 10 times worst than previously, knowing that removing them will never be as simple, because they’d do whatever it takes to stay there for as long as they possibly can, knowing that 90% of their supporters will stick with them nonetheless? So let them try to keep the Jazz on the front burner, believing that it will have a negative political impact on the THA Regime. This event will be here for a long time, even if the regime is to change. No one will never touch it, knowing what it’s doing for the island. Let them say how a “profit” can be made. Foolish people. Garvin Walters , you have hit the nail on the head. These guys, including his SC friend, are trying to be smart with foolishness. They have never organized an All-fours competition but are very comfortable like the one from Tobago minority party parroting what Ramona started. Now we are hearing what a success it was in terms of economic activity and sheer numbers in attendance, the SC and his sidekick will give another spin on things. Pereira Amanda right there you see why I described some people as trolls with nothing to offer. If a lamppost is leaning in a dangerous manner, normal people point it out and press authorities to find an urgent solution. Political fanatics and trolls only care about whether it is a PNM or UNC lamppost. If the lamppost was installed by the other party, it is a legitimate grievance. And it was installed or maintained by their own party? Well then it is time to talk about Cambridge Analytica or Ramdeen. One doesn’t have to try to be smart to make more sense than those who put their brains in a deep, deep place for the sake of tribalism. It is important to be able to spot the difference between those who want a better country and those who only care about if they can benefit from the dysfunction. Lasana the man say….who is me.if I that important here nah…… So it appears that citizens need to have a status or title to my name to discuss the state of MY country. Again miss me with that bs. The BS is people who believe that with them being the “independent” ones, that they’re “smarter” or “more intelligent” than who support a political party. For yrs they going with that bull, but can’t find a party to support. Is something “wrong” being the supporter of a political party? Of those who’re available, one has a track record of good governance, but never professed to be perfect entity. What is your definition of a “better country”? Why don’t you and yuh cohorts of “intellectuals”, come up with an “alternative”, since you all seem to know “better than we” the “tribal” supporters, how “perfect” this country should be. Because it seems like the Jazz not making a “gate profit” is the sign of a “dysfunctional” state. Lasana you remind me so much of Dale Enoch, another “independent” thinker. 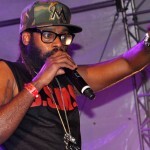 The report out of Tobago, is that the shows were VERY WELL attended. People from all over, look forward to it, ANNUALLY. Many Trinbagonians benefited from it. With all that money spent over the two days, would’ve definitely generated some kinda economic activity on the island. Drop the issue, the Jazz en going nowhere, anytime soon, despite what you jokers are trying to come up with. Ask yourself if they vote at all, if so, how independent can we rely upon them to be? Like Partap, Volney the morning show hosts on CNC3 and TV6 who ended up as communication mouthpieces for the two parties. If they don’t vote like SOME claim not to, they sit safely in the stands judging the game, neither playing nor coaching. Roger Collin Pierre and Gavin, there’s an easy way to see who is a hypocrite. Search People’s Partnership and Wired868 or UNC and Wired868 or any controversial PP politician and Wired868 and come back and report what you see. My work speaks for me. Lasana Liburd. Nice try. Enoch also has articles against both sides. However, why don’t you ask for a search on Wired and controversial journalist or article. How many of your peers or friends have you done any investigative articles on? In fact, let’s stretch it to your peers – how many high profile articles have been written about your own clique? Watching from the stands and judging the game doesn’t make you independent, just independent of political parties (I didn’t name you regarding the media personnel who feigned independence ). Local media has crafted a mentality in this country that everything that goes wrong is because of an Administration in office, while allowing their fellow professionals to get a free pass. However, they are very soft on each other. When last has any media person asked for the resignation of another in the field? Lol. I’m asking myself to resign from this conversation.